The Koshi Tappu Wildlife Reserve is situated in the Sapta-Koshi river plain in the far eastern corner of Nepal, close to the country's southern Border with India. The Reserve covers 175 square kilometers to the north of the kilometer-long barrage that spans the Koshi River, which was built between 1958 and 1964 to control and prevent flooding in the plains of northern India to the south. The vast expanse of open water created by the barrage, and the lagoons, sandbanks, mudflats and arable land that lie around it offer an outstanding wetland habitat, and one of the finest bird watching sites in Asia. Almost all of Nepal's Lowland birds live here, plus a great variety of land birds, especially warblers and birds of prey. Well in excess of 100 species should be seen each day in this wonderful area. The sharp-eyed may also be lucky enough to see one of the endangered Gangetic River Dolphins. The heart of the Reserve lies some 14 km north of the barrage, where seasonally inundated grasslands, lagoons and remnant patches of Khair (Acacia catecha) and Sissoo (Dalbergia sissoo) forest lie alongside the eastern bank of the broad Koshi River. This region is the last refuge of the Wild Water Buffalo in Nepal, and other mammals include Leopard, Fishing Cat, Jungle Cat, Asiatic Jackal, Spotted Deer and Nilgai (or"Blue Bull") - the subcontinent's largest antelope. Lumbini is a sacred place where Gautam Buddha, the apostle of peace, compassion, non-violence and universal brotherhood, was born in 624 B.C. He was born on the full moon day of the sixth month of the lunar calendar. Aside from the brirth of this spiritual teacher, Lumbini has other important relics like Ashoka Pillar. As already said Feuhrer reported it in 1895. King Ashoka who reigned in India erected this stone pillar in the third century B.C. He visited Lumbini Garden in 250 G.C. to pay homage to the birthplace of Buddha, in the 20th year of his coronation. Besides the Ashoka Pillar another most famous monument is the temple of Maya Devi, which is about 2300 years old. It has a stone relief, which depicts Maya Devi with her right hand holding on to a branch of a sal tree with a new-born child standing upright on a lotus pedestal, shedding an oval halo, around his head. This was installed by Malla Kings of Naga dynasty who ruled over one of the two states which flourished from about 11th to 15th century in the Karnali zone of Nepal. Recently archeologists have restored Maya Devi sculpture. On the south of the Maya Devi temple is the famous sacred pond known as Puskarni. It is believed that Maya Devi took a bath in this pond before delivery. The structure is of a circular nature and has tree projection terraces in a descending order and is riveted with fine brick masonry. Now for making it attractive living biotas are introduced. The legendary Lumbini pond was oval but now it is a square of about 50 ft each side. This pond was recovered during 1933-34 excavation. Besides that there are many Buddhist shrines, also recently constructed from different nations as well. Tansen, situated at an altitude of 1343 m. above the sea level is around 7 to 8 hours from Pokhara. Tansen is the most popular summer resort in western Nepal on account of its position and climate. It has perhaps Nepal’s most far stretching views of the country’s chief attractions, the Himalayas from Dhaulagiri in the west to Gaurishanker in the north-east. Pokahra lies around 200kms from Kathmandu and is around 6 hours drive from the capital city. Pokhara occupies a broad fertile valley in Nepal’s central hills, just south of the Annapurna Massif. Fewa Tal, the largest of the valley’s seven lakes, attracts those who enjoy boating and photographing scenic reflections of Machhapuchare Mountain, the dominant peak of the Annapurnas. Deep gorges are created by the rivers that wind their way through limestone strata. Temples and monasteries reveal their varied heritage. Bandipur, a picturesque culturally rich hill top town is located almost halfway through the highway linking Kathmandu to Pokhara. A steady uphill drive from the highway town of Dumre takes you to this small and lazy Newari town, which once used to be the resting stop for the Newars trading in Tibet. This town remains preserved ever since it was built and allows the tourists to enjoy its beautiful architecture and great Mountain View. 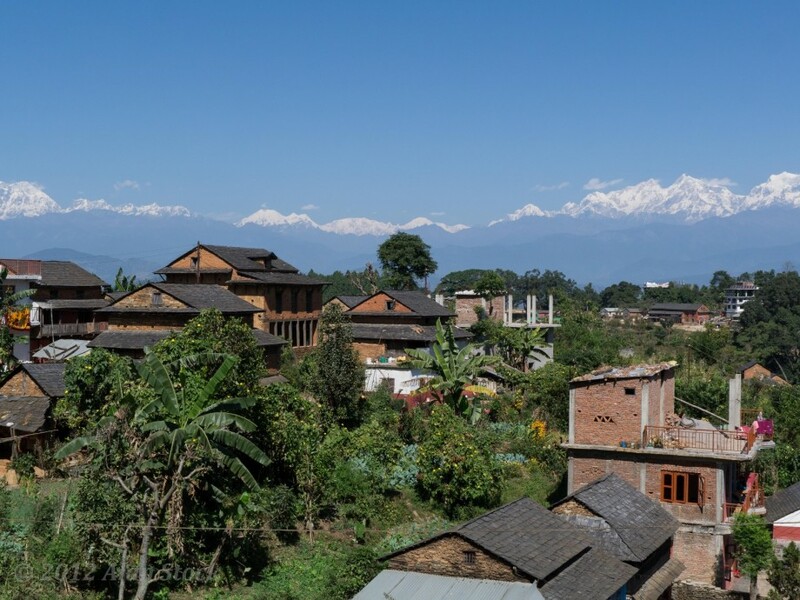 Bandipur is known for its majestic view of the Himalayan ranges covering the entire Annapurna range including Dhaulagiri, Manaslu and Langtang. The view starts from the snow capped mountains spreading to the great Marshyandi River valley below. 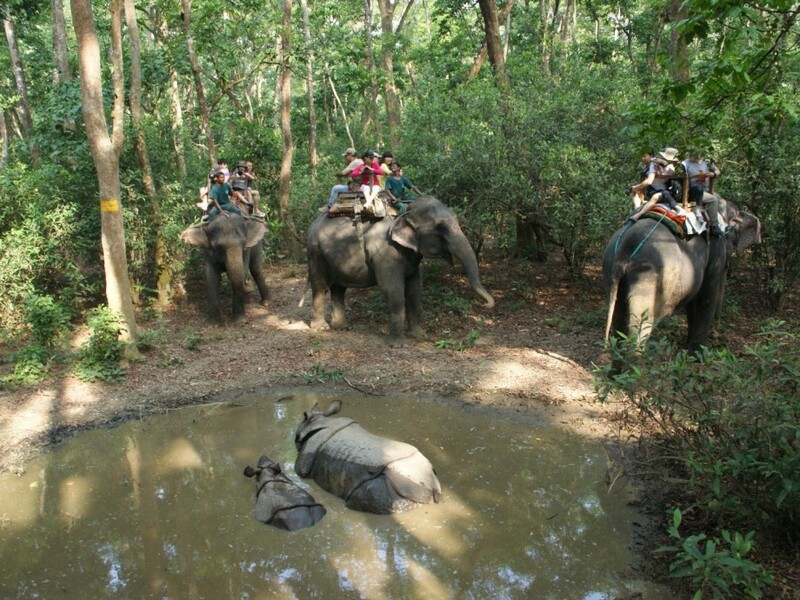 The Royal Bardia National Park is the largest and most undisturbed wild area in the western Terai region of the Nepal. Similar to Chitwan Park, but with a drier climate and a more remote location, Bardia encompasses 1,000-sq-kms of Riverine grassland and sal forests. Today's Royal Bardia National Park is bordered to the south by the Babai River, to the north by the Shiwalik or Churia Hills, to the west by the Girwa River (a tributary of the Karnali), and to the east by a section of the East-West Highway which bisects the park. What makes a visit to Nepal's Royal Bardia National Park particularly special is not just its large and intact habitat area and its isolated location, but also the presence here of one of the last known herds of wild Elephants in South Asia. 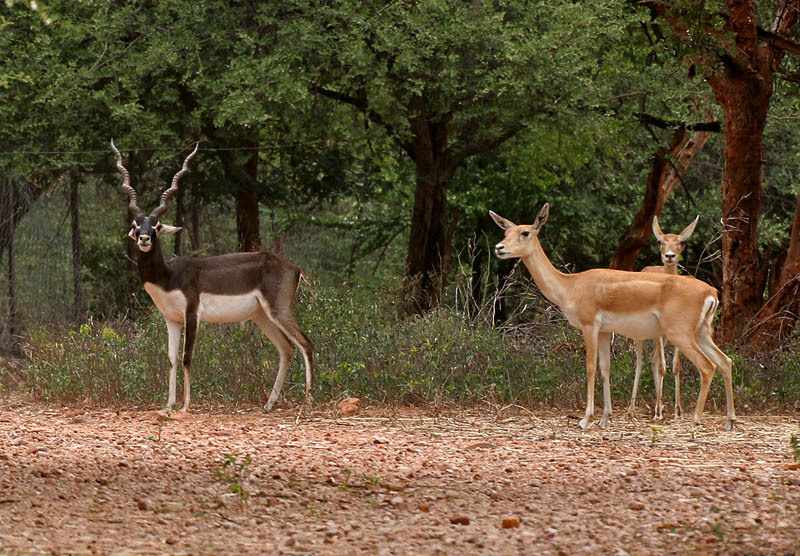 Bardia also boasts the greatest number of deer species in Nepal. Other large mammals are: Gaur, the largest wild oxen in world; wild Boar, the agile sloth Bear, Blue Bull or Nilgai, and Himalayan Tahr. Two species of crocodiles swim in the Karnali, Girwa, and Babai Rivers. These creatures share the water with the fresh-water Gangetic Dolphin. There are around 300 resident and migratory bird species. Avid bird-watchers will want to visit the park in November or from February to April when migrants arrive, depart or pass through. All of this rich flora and fauna can be enjoyed with jungle excursions, with nature walks, elephant rides, jungle jeep ride and boat ride. Royal Chitwan National Park is home to the great one horned rhinoceros, sloth bear, wild boar, gaur (bison), 4 species of deer, 2 species of monkeys, 2 species of crocodiles, leopard, the elusive Royal Bengal Tiger, over 400 species of birds and various other reptiles. Around the national parks are lodges in the style of the famous African Lodges created for guests as a luxury accommodation where they enjoy their own spacious rooms with modern facilities while they experience the abundant bird life and the flora and fauna of the park with jungle excursions like boat ride, jeep drive, elephant drive, nature walk, jungle walk or a tour to the village. Daman is a very known hill station on the way from Chitwan National Park to Kathmandu renowned for its view of the breath – taking grandeur of the world’s highest peaks, extending from far west of Dhaulagiri to far east of Sagarmatha (Mt. Everest) there is no better place than Daman. This spot lies 80 kms southwest of Kathmandu on the side of the Tribhuvan Rajpath. There is a view tower fitted with a long-range telescope. Janakpur is the beautiful city in the Terai, the ancient celestial capital of King Janak, enchants visitors with its colorful atmosphere and its religious aura. The city is the birthplace of Sita or Janaki, the ideal Hindu wife of Lord Ram and the heroine of the much-popular epic Ramayan. Thus, the city is an important historical and pilgrimage site, with many temples, shrines, kutis (sacred centers), dharmashalas (Pilgrims hostels ) and numerous sacred ponds. The centerpiece of Janakpur is the Janaki Mandir, an enormous marble shrine with Mughal-style battlements and domes. The temple is built on the site where Sita’s idol was unearthed. The edifice is not very old – it was built in 1912 – but there are some fine carvings on stones and on the silver doors leading to the inner room that houses the images of Ram and Sita. In front of the temple is a plaza where religious paraphernalia is sold and where people throng in the evening in an air of festivity. Other important highlights are the Ram Sita Bibah Mandap, built to commemorate the marriage of Ram and Sita, Ram Mandir a landmark built in pagoda style in 1882 and the two holy ponds, Dhanus Sagar and Ganga Sagar. Janakpur is also known for its distinct art style known as Mithila art. At the Janakpur Women’s Development Center women produce these paintings and other art forms including ceramics, papier-mâché, patchwork tapestry, silkscreen prints and woven wall hangings, which are available for sale.